It’s minus-30 and the ground is frozen. The yaks, goats, sheep and horses may not make it through another Mongolian winter night. Huddled in their Ger (felt-lined tent), the nomadic wife pours her family another cup of tea filled with butter, salt and hope for an early spring. 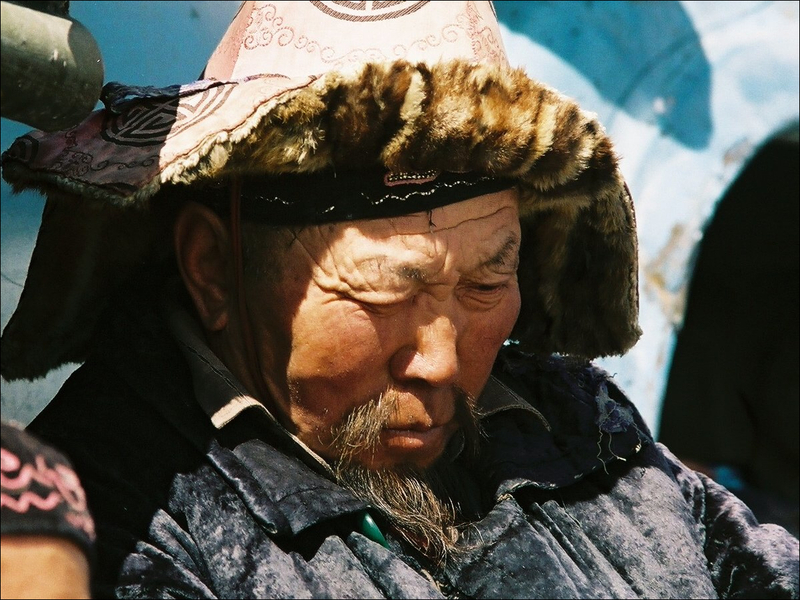 Surviving the physical and mental hardships of winter in Mongolia is one of the world’s greatest outdoor challenges, and we can learn sub-zero coping skills from the “backcountry” men and women of Mongolia. They make it through by preparing months before, eating the right food, wearing the right clothes and having the mental toughness passed down to them from the days of Genghis Khan. It takes all that and more to stay alive and earn a Tugrig (Mongolian currency) in this unforgiving land. Land locked Mongolia sits at a high average elevation of 5,300 feet, and the frigid Western end is shoehorned against the frozen steppes on the Chinese and Russian borders. While many parts of the world face global warming, Mongolia remains frozen in time. Its most daunting winter condition is the Tzud. A summer of drought followed by an unremittingly cold winter produces the killer Tzud. In 2010, the Tzud killed 10 percent of the nation’s 40 million livestock, and an unusually heavy snow-filled Tzud in 2016 was equally bad. In a country where 35 percent of the population are nomadic herders, the Tzud can be catastrophic. Summer in the Altai mountains of Western Mongolia is a time when rivers flow, birds sing and the grasses provide forage for the herders’ animals. It’s the perfect setting for a Tusker Trail trek. But in winter, that forage is under a crust of ice and snow; the rivers are frozen and there are few signs of life. The country’s 2.75 million residents mostly hibernate in towns that have central heating. The capital Ulaan Bataar consistently ranks as the world’s coldest capital city where temperatures never reach above freezing from November to April. Children are swathed in so many layers of clothing they can hardly walk. The common greeting on the capital’s streets is, “Your home warm enough?” Strangers are often invited over for a warming tea. The mutual concern for others is central to making it through winter. In the winter, Mongolian Altai herders head for the town of Tsengel. Nestled at the junction of the steppe and the Altai Mountains, Tsengel’s small infrastructure has earth and log homes that provide some wintry comfort. Many of the Altai’s herders stay on the land trying to keep their small herds of goat, camel and sheep alive. To heat their homes, the herders stockpile enough dried animal dung to feed their stoves. Their wives have spent the fall preparing yogurt, milk and heavy cream to fuel their families through winter, and hay harvested from the previous summer hopefully feeds their animals. It’s not high cholesterol that will kill you here, but rather the knifing winds and frost-biting air. Soups filled with dumplings and heavy doses of various meats are survival staples. Cashmere has always been in fashion in New York, but in Mongolia it’s about survival not style. In the spring, goats are shorn to produce some of the world’s best cashmere wool that is crafted into hats, sweaters, scarves and gloves. For outer coats, Mongolians don dehls, long-belted robes that are lined with sheepskin and covered by leather. These outer coats have loose sleeves and bottoms that allow movement in snow and cold. Aside from their tough outer shell to help withstand the grueling winters, Mongolian nomads are incredibly gentle and hospitable people. The unspoken code of the steppe dictates that any traveler can walk into any Ger at any time while traveling – without knocking. The Ger family hosts the traveler without question, providing tea, food and shelter for the day or night. The rule is reciprocal, meaning “what goes around comes around.” It’s like an unspoken social umbrella that has worked for thousands of years. On Tusker’s summer Mongolia trek we experience this code of hospitality and the gentle warmth of the nomads on a daily basis. It’s an opportunity to appreciate the more important, smaller things in life.